Wall Street Training & Advisory, Inc. (WST) is the world's leading provider of financial training and advisory services, serving a wide variety of investment banks, private equity firms, hedge funds, commercial banks, universities, regulatory agencies, credentialing institutes, and more. 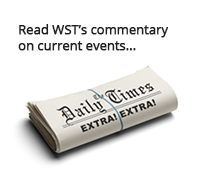 WST was founded with the goal of standardizing best practices in financial modeling. Professionals constantly need to rehone their skills and students exit the academic world without practical skills, leaving a void during an era when finance needs some of the world's brightest minds. Our mission is to help financial institutions and professionals fill that gap. 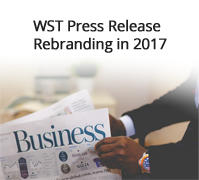 The key to WST's success lies in our active presence in financial services. By keeping sharp, we always understand what the market is currently looking for, allowing us to constantly adapt training to financial & regulatory dynamics and offer relevant, useful career development advice to job hunters. Read more about our methodology and meet our team of instructors, or dive right in with a free trial of our online courses. Wall Street Training & Advisory, Inc. ("WST") was founded to bridge the gap between academic theory and on-the-job training. Our clients tell us we are extremely effective – we accomplish this in several ways. Many financial modeling courses claim to be "interactive" in that you sit in class, building a model as the trainer reads out formulas. They are giving you a fish, while we teach you how to fish. We prod and encourage participants to uncover answers on their own by asking the right leading questions. 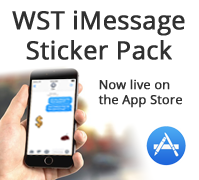 WST does not settle for average, or a mere baseline level of knowledge. All our instructors are experienced practitioners that still execute deals. We're not staffed with second year analysts teaching basic models and spreading comps. WST's centralized strength ensures that you aren't getting watered down material from one of many disjointed franchise locations. In addition, our Training+ offering enables us to design our programs to extend beyond a typical financial modeling and Excel class. Maybe you're in a room filled with specialized industry analysts who are constructing one unified model that's complex enough to precisely fine-tune, yet elegant enough to be accurate. This is where WST shines. Or perhaps you're the CFO of a mid-sized startup, deciding how much debt to take on before you launch your new growth initiative. With our advisory and consulting practice, you can navigate these types of problems with confidence. Let us know how we can help.